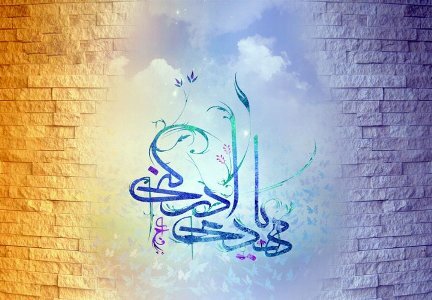 The salutations to Imam Mahdi (a), the Imam of our time, are not limited to simple salutations but instead are expanded on in several phrases and then attention is focused on the last Imam until the end of the du'a. and the awaited establisher of justice. and assist him with the Holy Spirit. O Lord of the worlds! If we are good and pious people, we too can hope that Allah (swt) will support us and one of the ways in which He (swt) does this is to ask the Holy Spirit to help us. 'I asked Imam Sadiq (a) about the verse 'They question you concerning the Spirit. Say, 'The Spirit is of the command of my Lord' (17:58).' He responded that the Spirit is a creature greater than Gabriel and Michael.' [Kulayni, Muhammad Ibn Ya'qub, Usul al-Kafi, vol.1 (Tehran Dar al-Kutub al-Islamiyya, 1388 AH) p. 273, no.3]. The verse explains that on the night of Qadr, the Holy Spirit descends along with the angels. This suggests that the Holy Spirit is different from the angels which include Gabriel and Michael.